You probably all know that Los Alamos is that place up in the mountains where a bunch of science-y things happen. Well, it’s not just about bombs and research into turning people into The Hulk. To educate and excite people about science, several organizations, including Los Alamos National Laboratory, are hosting Sciencefest, a week-long celebration of science, math, engineering, technology, and … even art? That’s what they claim at the Sciencefest web site. Of particular interest to you, our readers, is the involvement of Bathtub Row Brewing, Los Alamos’ co-op brewery, and others in this festival. Beer and science? Hey, why not? Today (Wednesday), Bathtub Row will be hosting a special Los Alamos edition of trivia night at 6 p.m. (Pardon the short notice on this one.) This will test your knowledge of the history and science of the area while you enjoy a pint or two. Then on Thursday at 7 p.m., there will be a seminar on “The Science of Brewing” at BRB. 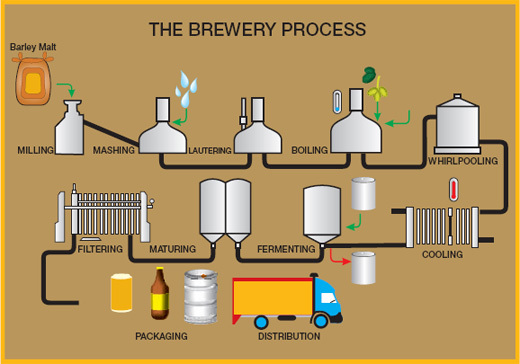 Curious how beer is made? This should answer all of your questions. Hey, scientists can party, too. And finally, mark your calendars for a major upcoming event. Bathtub Row is throwing a two-day party on July 31 and Aug. 1 called the “Full House Party.” The plan is to finally have all eight (!) taps pouring Bathtub Row beers! Expect plenty of live music both days. For additional details, visit the Bathtub Row Brewing facebook page.